Trump: 'We're the party of health care.' Dems: We're the party of more Obamacare, not less. WASHINGTON — Obamacare repeal versus Obamacare repair: That's where the next presidential election is heading. 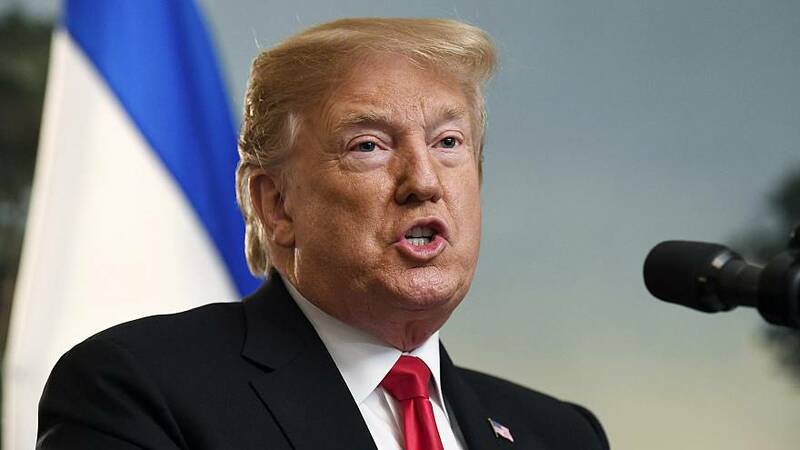 On the Republican side, President Donald Trump approved a surprise decision to push for the complete elimination of the Affordable Care Act in the courts. If it succeeded, millions of Americans would lose private insurance or Medicaid coverage and the health care system would be thrown into chaos. At the same time, Democratic House leadersintroduced a bill on Tuesday to expand the ACA's benefits and tweak some features. And on the 2020 presidential trail, the party's candidates appear to be converging on a plan to offer a public option to consumers that competes with existing private plans. Trump tweeted that the GOP will be "the party of health care," but Republican senators who met with him said the president offered few details on what their policy would look like if Obamacare were struck down. In fact, there was little sign of outward enthusiasm for Trump's latest move among elected Republicans. The party paid a steep price for repeal efforts in the 2018 midterms — voters named health care their top issue in exit polls, and 75 percent of those who did supported Democrats. Looking to move past that, the GOP shifted to a new message in recent months. Rather than framing the 2020 race as a choice between keeping Obamacare or repealing it, they began positioning the contest as a choice between government-run health care vs. the status quo. Led by Trump, Republican lawmakers warned that the Democrats' Medicare For All plan was a "socialist" policy that was too risky, disruptive and expensive. They eagerly honed in on Democrats' support for a bill by Sen. Bernie Sanders, I-Vt., that would provide all Americans with a more generous version of Medicare, effectively eliminating private insurance in the process. Several 2020 contenders, including Sens. Elizabeth Warren, Cory Booker, Kirsten Gillibrand and Kamala Harris had signed on as co-sponsors, while Beto O'Rourke appeared to endorse it during his Senate run, but backed off more recently on the presidential campaign trail. There are signs that the Republican attacks have produced some results, even as Trump's decision ensures that repeal will likely be a leading message in 2020. Support for Medicare For All has dropped in some polls. A Quinnipiac University survey on Tuesday found 43 percent considered single-payer a "good idea" compared with 45 percent who said it was a "bad idea." That's a decline in popularity from August 2017, shortly before Sanders introduced his bill, when there was 51 percent-38 percent net support for the plan. Single-payer advocates believe they can build up support with the right public relations approach. "A policy that covers everyone and eliminates out-of-pocket spending...will be an incredibly popular program, but do we need to do more educating the public? Unquestionably," said Adam Gaffney, president of Physicians for a National Health Program. But even before the latest survey, many Democratic candidates were subtly shifting their own message away from single-payer and toward more gradual approaches that build on Obamacare's existing structure. In January, Harris told a CNN town hall that Americans that she favored replacing private plans with a single-payer program while House progressives released a new single-payer bill the next month — but few presidential contenders have followed their lead. Instead, they've pivoted to arguments that Americans should have the option to purchase a public plan like Medicaid or Medicare, not have it forced on them. O'Rourke, who expressed support for the Sanders bill as a Senate candidate last year, said this month that he had rethought his position and is interested in legislation that would let individuals buy into a public plan if they want. "It allows people to keep employer-based insurance, many of whom want to do that," he said. Several Democratic presidential candidates who co-sponsored Sanders' Medicare For All bill have made the case — without explicitly abandoning support for single-payer — that a public option would eventually achieve the same goal as the legislation. Gillibrand, for example, touted a Medicare buy-in that caps premiums at 4 or 5 percent of income as "the quickest way to get" to single-payer, since she predicted customers would voluntarily decide to enroll in it over private insurance. The same Quinnipiac poll that found support for single-payer waning found strong backing for an optional Medicare buy-in, with 51 percent calling it a "good idea" compared with 30 percent who said it's a "bad idea." Some polls also have found confusion among voters, many of whom thought a public option is what "Medicare For All" meant in the first place. "I believe people want more healthcare and most are relatively open minded about how to achieve that," Sen. Brian Schatz, D-Hawaii, who authored a bill that would create a buy-in option for state Medicaid plans, told NBC News. Single-payer will still be front and center if Sanders wins the nomination or activists can nudge wayward Democrats back toward his plan. But for now, both parties seem to be settling into simple dueling health care messages for 2020: "Build on Obamacare with a public option," for Democrats and "repeal Obamacare first, then we'll talk," for Trump and the GOP.